That the author is secretly smuggling out and reworking, often lying about and numbing, their abusive emotional childhood is something Alice Miller tends to imply when dealing with works of art: a mode of thinking we as her readers easily slip into, isn’t it? That Kafka’s work is basically explainable as an artistic dramatization of a child’s insecurity about his parents’ true agenda, that the vampiric women of Baudelaire’s poems are in fact his emotionally unavailable and seductive mother… —this is still the only opening to Baudelaire’s work I can stand, the only way in which I can read his work with interest. In this way, artistic work after Alice Miller demands a new openness and consciousness in the producer. We can’t only chew and chew the unworked-through emotions from our childhood and find creative ways of repackaging them, then call it Art. It’s a new game now. All bets are off… Which brings us to the subject of this post: C.T.’s criticism of Dennis Rodie’s novel The Curse of the Third Rate Artist. Discussing this opens the larger subject of the differences in worldview and even temperament between the two writers. First I must clarify that I think César is a very promising and interesting writer who in his work is attempting to take on very large themes, which are important to me also. As mentioned briefly above, I believe artists working after Alice Miller have a new responsibility to be conscious. To this, I will add the meta-perspective on history developed by Lloyd deMause, which says that the whole of human history, in particular its destructive aspects, is based on childhood abuse. “The history of childhood is a nightmare from which we have only recently begun to awaken…” begins his most important work. Miller says as much, but not as systematically and not as clearly as to the development that has, despite everything, taken place. Put in this perspective, the emotional abuses and the stressful life situation that Martin Maag, the narrator of Dennis’ novel, was put through was just as destructive as it was, but less destructive and less producing of the kind of howling-at-the-moon stressful psychosis and magical thinking that the childrearing of the European Middle Ages produced. The criticism of your novel which César wrote in the context of polemics around the subject of Satanic Ritual Abuse elsewhere in this forum must be read in this context. Dennis Rodie’s novel does not have the same meta-perspective as C.T.’s has, something which Mr. Tort from his perspective must see as weaknesses. Since I, myself, am interested in the approach to writing and the expansion of consciousness of which his writing is the physical trace, created for communication that C.T. is developing, I share in part his criticism. Let me, to make writing this post quicker and easier, quote the relevant part from a review-letter I wrote recently to Dennis Rodie after having read his novel The Curse of the Third Rate Artist. Allow me to get personal for a while. For what I intend, and for the kind of writing I myself aim to produce, a perspective the world needs, I think César is a pioneer developing a new sport. His successes are mine, and even his failures will be valuable lessons. The way he dares to be expressively angry is inspiring to me, though for my own part I am unsure of the outcome. Perhaps by temperament (which can’t be helped), perhaps by lack of courage (which, if true, must be conquered) I cannot be that clear about my anger. On the other hand not anger, but sensitivity, seems to be the guiding star of Dennis Rodie’s novel. For me, the jury is still out and César’s, as well as Dennis’ future developments as a human being and an artist will give me the information I need as to whether this is the road I want to pursue. César’s five-book work Hojas Susurrantes expands from angry letter to mother, through anti-psychiatric tractate to brutally honest (so I’m told, have not taken it on yet) autobiography, over to family history, to the chronicle of the bloody past of his nation into an assessment of the human race and where we are now, which is an expansion in a new direction of deMausian thought: the quick eradication of those who abuse and hurt children, thus stopping humanity from evolving into the best we can be. How César brings this off in his last book will be very exciting indeed to take part off. That much I know. Whether or not and to what degree I will agree is another of those questions where the jury is still out. On the negative part, he might be steering dangerously close to a new motivation for genocide, a new ideological twist on the old Nazi game. Daniel Mackler, in his writing, seems to imply that there is a lack of what he calls “enlightenment” in C.T.’s exposing of his emotional life and his family’s. That this is unhealthy exhibitionism, and an unfortunate development of a tortured soul, rather than the pearl the clam produces because a grain of sand is torturing, cutting and carving at, its vulnerable pink flesh. To stop the hurt. I lean toward César’s side in this conflict. I, myself, have ambitions as a major writer and find that, after assimilating the thinking of Alice Miller, works of art that are not intensely personal and honest to be unrewarding. 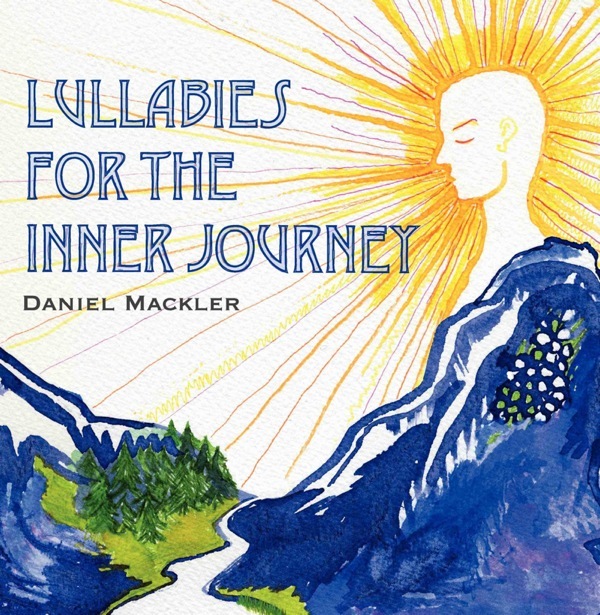 Is Mackler suggesting that we keep our stories to ourselves and sit around healed in a lonely buddhistic state, when instead we could let our stories go out and make changes in the consciousnesses of the real world? As I said, I lean toward Tort’s interpretation, but as always the jury is still out. And I believe even Mackler can’t avoid looking at Tort’s work, like he has before with the psychological case studies or autobiographies—the motivation for writing which he finds emotionally doubtful—; can’t avoid looking at them as at a beautiful car crash, provided as entertainment for the Buddha from others’ flesh and blood. The Buddha floats around in the suffering of the world with a distanced face. Everything I have written above must be read in the perspective that I found reading the writings of Daniel Mackler, C.T. and Dennis Rodie as a revelation and breathing with the life of a new integrated consciousness, pulsating with a true emotionality, which I have before found in the work of Alice Miller and Lloyd deMause and to which, once I’d tasted it, nothing else compares. This is the reason I care strongly enough about them to read and reflect on them, as well as writing this text.